Fru-Gal.org: Free Fries at Burger King! Free Fries at Burger King! 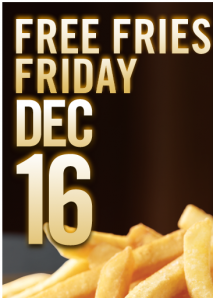 Today, 12/16, get a free value size order of french fries at your local Burger King! No purchase necessary, one free order per person!